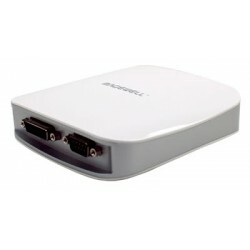 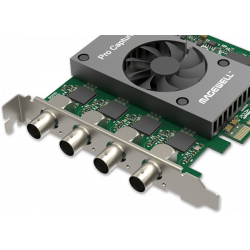 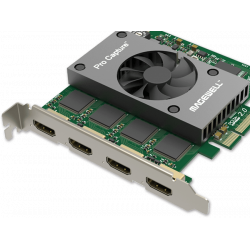 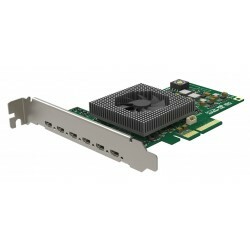 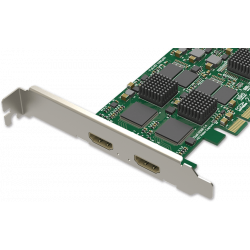 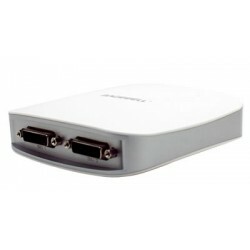 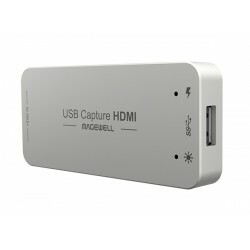 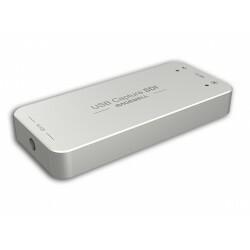 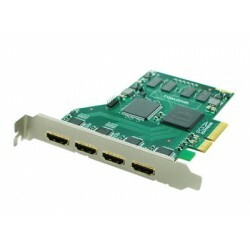 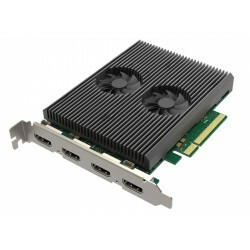 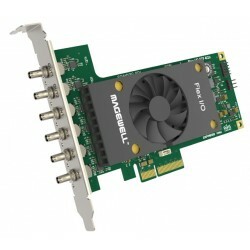 Magewell capture cards have various advantages, including high-quality capture of video and audio and good performance. 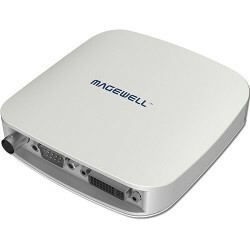 Magewell products have been distributed globally. 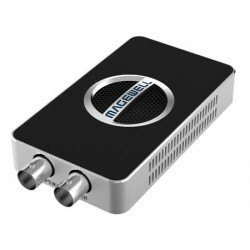 They have a wide range of application, for example, lecture/ sports/ game/ religious events recording,video conferencing, live streaming, medical imaging, IPC, digital signage, video wall display, etc. 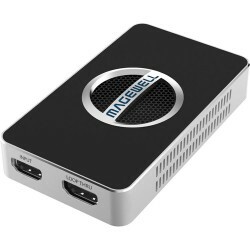 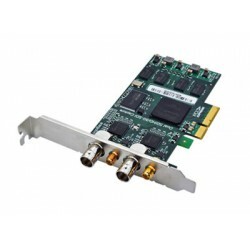 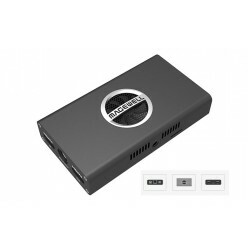 Magewell 11250 PRO HEXA CVBS Six-channel SD capture card is a LP PCIe x1, 6..
Magewell 32060 HDMI to USB Video Capture Dongle USB 2.0/3.0 DONGLE, 1-chann..
Magewell 32070 USB Capture SDI Gen 2 USB 2.0/3.0 DONGLE, 1-channel HD/3G/2K..
Magewell Flex I/O HDMI 4I2O 4-channel 2K capture +2-channel 2K playback car..
Magewell Flex I/O SDI 4I2O 4-channel 2K capture +2-channel 2K playback card..
Magewell Pro Capture AIO 4K Plus 11140 One channel UHD capture card 6G-SDI ..
Magewell Pro Capture Dual HDMI 4K Plus LT 11260 Video Capture Card offers t..
Magewell Pro Capture Dual HDMI 11080 Capture Card Two channel HD capture ca..
Magewell Pro Capture DVI 4K One channel UHD capture card with two video pro..
Magewell Pro Capture HDMI 4K 11120 One channel UHD capture card HDMI + embe..
Magewell Pro Capture HDMI 4K Plus One channel UHD capture card, HDMI + embe..
Magewell Pro Capture HDMI 4K Plus-LT 11152 LP PCIe x4, 1-channel HDMI, Ultr..
Magewell Pro Capture Quad HDMI HD Capture Card 11100 One video source can b..
Magewell Pro Capture Quad SDI Gen2 PCIe family of capture cards are in full..
Magewell Pro Convert HDMI 4K Plus 64010 One-channel 4K Signal Converter sta..
Magewell Ultra Stream HDMI 53010 Single-Channel HD Streaming Encoder is a s..
Magewell USB Capture AIO 32110 One-channel HD capture box offers 8-bit vide..
Magewell USB Capture HDMI 4K PLUS 32090 USB 3.0 1-channel 4K/30fps HD..
Magewell USB Capture SDI 4K PLUS 32100 offering One-channel 4K capture devi..
Magewell XI100DE-SDI you can capture a majority kinds of signals, including..
Magewell XI102XE-HD fully supports SD/HD/3G-SDI, and enables to embed 8-cha..
XI104XUSB, you can capture SD or HD videos signals. 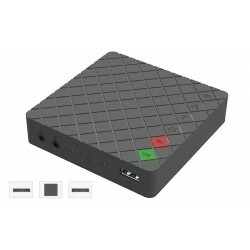 You can connect it to H..
3D TV is increasingly known by consumers. 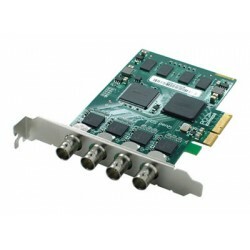 With the 3D technology is develop..
Magewell XI200DE-SDI fully supports SD/HD/3G-SDI, and enables to embed 8-ch..
XI200XUSB can simultaneously capture dual HD 1080p signals with each channe..
Magewell XI204XE 2-channel HD with 4-channel SD 10071 you can capture vario..
Magewell XI400DE-HDMI provides high-quality HDMI input, which can satisfy t..
Magewell XI400DE-SDI fully supports SD/HD/3G-SDI, and enables to embed 8-ch..